An estimated 1.2 billion people use Microsoft Excel. Couple that with more than 3 million businesses using Google G Suite, which includes Google Sheets, and you’re talking about a lot of spreadsheet users. With 467 functions across 12 categories, Excel is used for a wide variety of business uses, ranging from data manipulation to accounting. A survey by FSN found that 71% of organizations still rely on spreadsheets across the majority of their business units..
It’s undeniable that spreadsheets are useful tools to make complex calculations. However, when it comes to contract management, spreadsheets may cause major problems. Here are the top three disadvantages of using spreadsheets for contract management. Editor’s Note: For a more thorough examination of this topic, download our complete whitepaper on Managing Contracts in Excel. 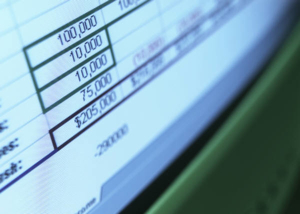 Around the world, spreadsheet mistakes have cost organizations billions of dollars. During the 2012 London Olympics a data entry error into a spreadsheet of 20,000 instead of 10,000 for the number of available event tickets caused major mayhem. With ticket prices ranging from £20 to £75, this is a mistake cost between £20,000 to £75,000. The Municipality of West Baraboo in Wisconsin had to pay about $400,0000 more over the lifetime of a 10-year borrowing plan than originally projected. Due to “operator error,” a spreadsheet cell wasn’t adding the right amounts, resulting in underestimating the total cost of the 10-year bond. An incorrect link in a spreadsheet caused a $6 million error for Knox County Trustee’s Office and a $12,500 audit fee for the county’s taxpayers. Spreadsheets are prone to human error. This is why you need a contract management system that provides automated alerts when entered values fall outside pre-approved ranges. As you can see from the three examples, these alerts could potentially save your organization from major financial losses and lost brand value. A study of over 45,000 pageviews indicates that for every extra 100 words you add to a document, people will only spend an additional 4.4 seconds on those extra 100 words. When you only rely on spreadsheets for contract management, you’re undermining your own compliance efforts. As your spreadsheet rows and columns grow, the amount of time that people spend reading them decreases. Online users have time to read at most 28% of the words during an average visit. This means that you need to leverage the dashboard features of your contract management system to call the attention of your employees to the right places. With features such as favorite reports, charts, graphs, to-do lists, and calendars, employees can process contract data much more efficiently. Research from Ventana indicates that spreadsheet users spend on average 12 hours per month (that’s one-and-a-half eight-hour work days!) updating, revising, consolidating, modifying, and correcting spreadsheets. Even worse, some employees can spend up to 18 hours per month on spreadsheet use. Over half of spreadsheet users find combining spreadsheets a time consuming chore. 55% of spreadsheet users rarely catch errors in spreadsheets they use. Only 9% of spreadsheet users report that the spreadsheet skills of people in their organization are excellent. What’s interesting is that most spreadsheet users surveyed (70-80%), particularly power users, believe there are better alternatives to spreadsheets. This is a clear indication to management to adopt a contract management system. While spreadsheets are useful business tools, they are suboptimal ones for contract management processes. The top three disadvantages of spreadsheets are that they may cause major financial losses due to user error, are difficult for users to process, and take too long to use.